Mario Masdea is a Ph.D researcher at Roma Tre University, Faculty of political science, Department of gender studies, and holds a Master’s Degree in International Relations and a Master’s Degree in International Relations from Rome LUISS University since 2007. He joined the Italian Army in 1983, attending 196th Course at Nunziatella Military School and currently serving in the rank of Lieutenant Colonel, General Staff specialty. He is responsible for Public Affairs and Communication at NATO Defence College until September 2012. He was deployed to Bosnia-Herzegovina, Albania and Kosovo during several UN/NATO operations, participated in the NATO exercise “Dragon Hammer” and the PfP exercise “Prometheus”. 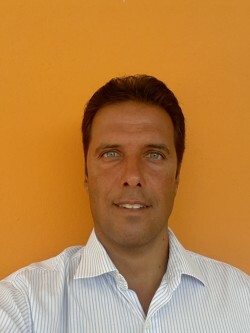 He is a state qualified Journalist and lecturers in NATO Organization and Comprehensive Approach at Roma Tre University. He is also lecturer in Strategic Communication Course for Lithuanian Armed Forces, lecturer at the NATO School in Oberammergau for the Public Affairs Course, lecturer in Strategic Communication at Rome La Sapienza University – Faculty of Political Sciences and lecturer in Press Office Management at Rome LUISS University – Management School.